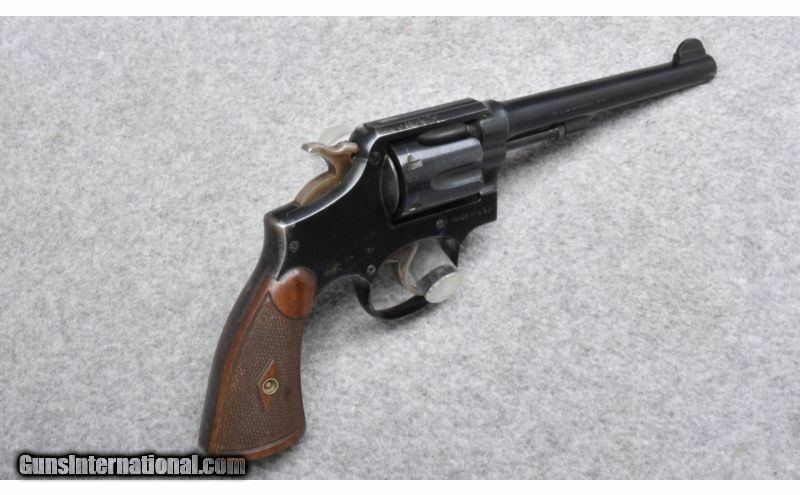 Smith & Wesson ~ Military & Police ~ .38 Spl. 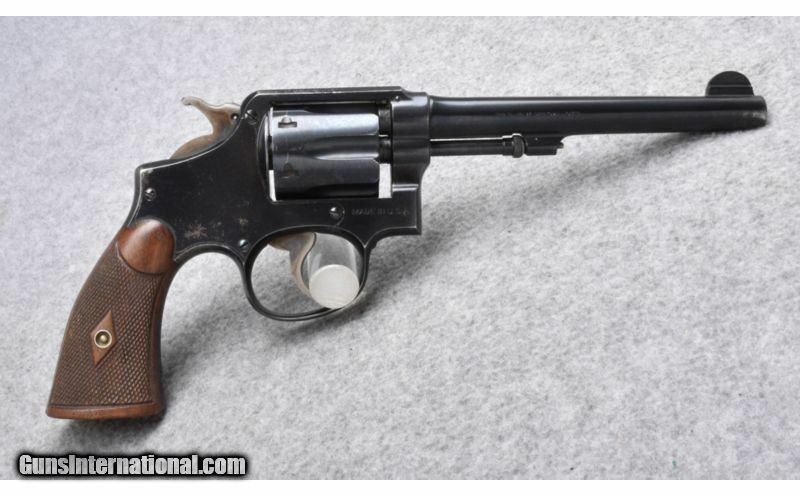 This is a Smith & Wesson Military & Police revolver or as it is also called a Model of 1905 4th Change revolver in .38 Special. This model was made between the years 1915 and 1942. 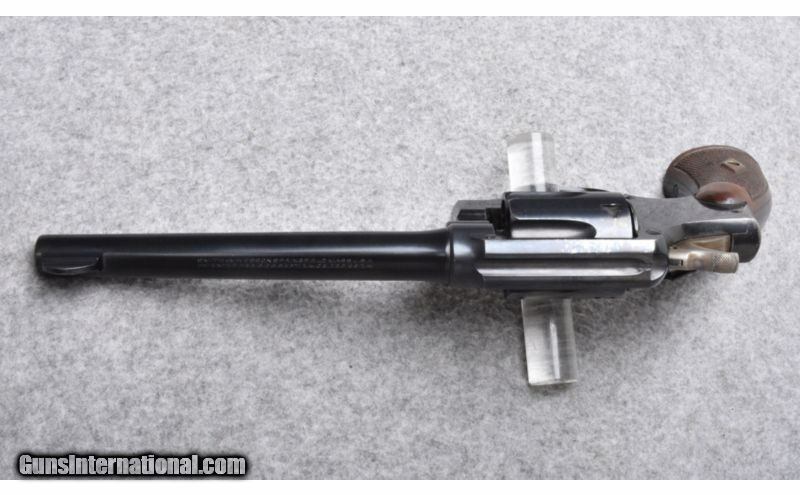 The finish is in Very Good condition with some wear at the muzzle, on the right sideplate, and on the left side of the frame above the trigger. 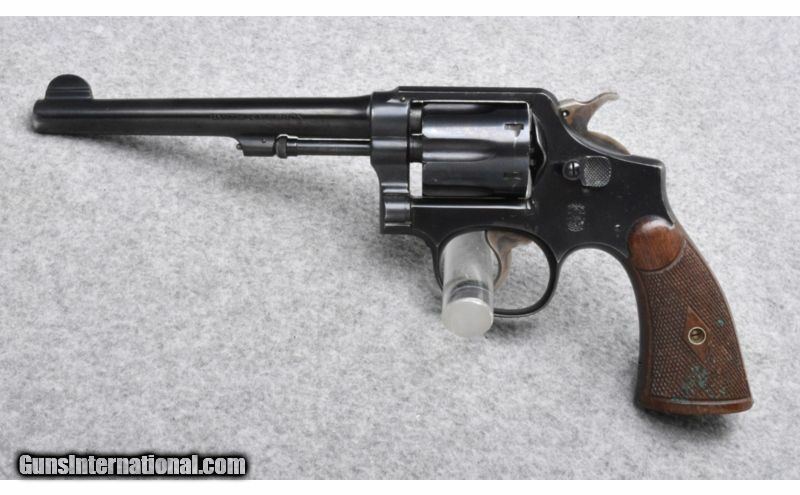 The case colored smooth narrow trigger and checkered narrow hammer are in Excellent condition. The bore is bright and shiny. The grips are old replacements in the original diamond style and are in Excellent conditon.